1950s Circle Skirt Apron combines a full "twirly" skirt with a scalloped sweetheart neckline on the bib. 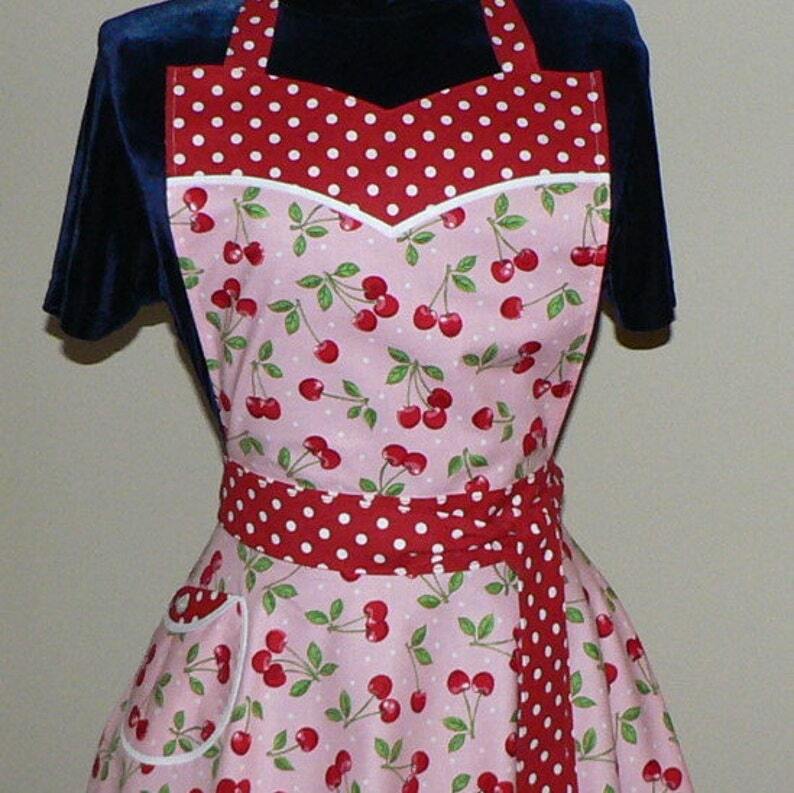 This cheerful apron in 'Pink Cherry Dot' fabric coordinates measures 29 in. from the bib to the bottom of the skirt. The long sash at the waist can be tied either in the front or back as desired for 2 different looks. Cute circle pocket on the twirly skirt is about 6 in. wide, and keeps your cell phone, iPod, or recipe handy. Main fabric is pink with all over red cherries and white polka dots. 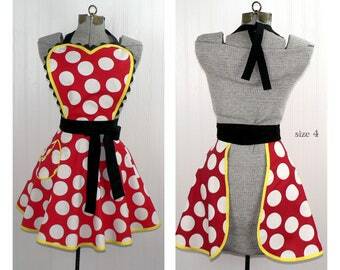 Coordinating red polka dot fabric is used for the scalloped top of the bib and for the sash / ties. White bias binding frames the pocket and edges of the apron. 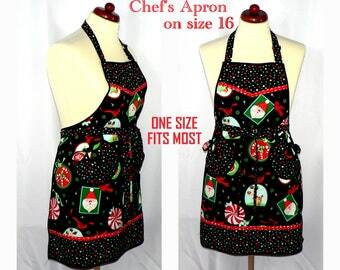 Makes a great gift for the cooking/baking enthusiast on your gift list! 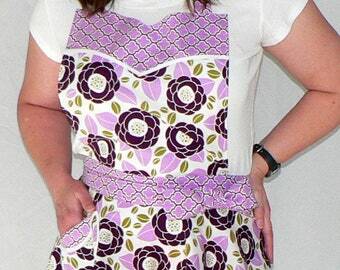 Great care and attention is paid when I make these aprons-- there are no exposed seams or raw edges showing on my aprons! All seams are neatly enclosed for a sturdier and longer lasting finished product. 100% cotton. ONE SIZE FITS MOST. Perfect transaction. Super easy custom ordering process! 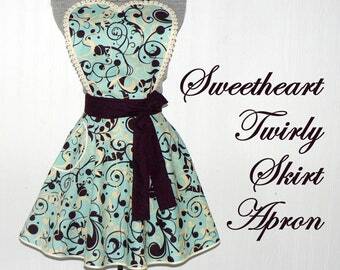 Customized Twirly Skirt Apron (Circle Skirt Apron) choose your own fabric, sweetheart bib, flirty pin up apron, "one size"